ISO 9001:2008 Registered Precision Machine Shop We can machine your products to any specification you provide, certify them, and provide complete traceability for quality assurance purposes. Reverse Engineering At Causey Machine Works, we can reproduce your products based on an Engineering Drawing, or we can reverse engineer and model a sample piece for you if an engineering drawing is not available. We are also fully capable of working with solid model files. Traceability Our quality management system ISO 9001:2008 certified. 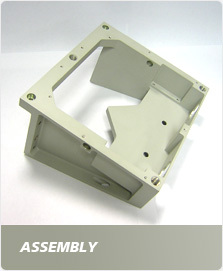 Appropriate aspects of the manufacturing process are documented and verified by our staff and suppliers. We also keep material test reports and inspection reports on file for at least ten years after an order is completed for traceability. The latest in CNC Manufacturing Equipment We utilize the latest technology in Precision CNC manufacturing and Modeling Equipment to get your products finished on time with exceptional quality. 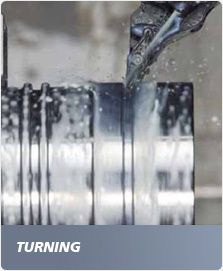 Technologies such as 4-Axis Milling and Turning allow us to reduce the number of steps to finish your product, while our automated order tracking system keeps track of the progress of your order. High Capacity Equipment We are able to mill parts as large as 32" by 80" (813 mm by 2032 mm) and turn parts as large as 15" (381 mm) diameter. 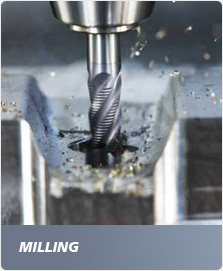 We can also grind parts as thick as 12" (305 mm). 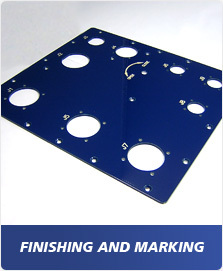 Materials Processing, Finishing, Marking, and Shipping We can have you parts stress relieved, hardened, coated, painted, anodized, stamped, etched, packaged and shipped to you or directly to your clients. We will also provide material test reports and inspection reports with all shipments.